I am so happy to finally be posting this recipe. I made my first batch of these not too long ago and they were great right out of the oven, but the next day they were a little dry. I’m the kind of girl who loves a soft chewy cookie. I’ve played around with the recipe and these are AMAZING. I am so excited at how good they turned out. Right out of the oven they are warm and gooey, the perfect treat to warm you up during cold weather. The next day these still taste amazing and they don’t lose that gooey, soft texture. Make these for your next holiday party and you will be a hit. They are also gluten-free, vegan(optional) and figure friendly so you can have a few and feel good about it. *Shop at iherb.com and you can use coupon code OZI624 to recieve $5.00 off your first order, which means you can try the stevia only a few dollars!!! Preheat oven to 350F. Combine 1 1/2 cup almond flour, soaked dates, vanilla stevia or extract, salt, hot cocoa mix and baking powder in a food processor or blender and pulse until dates are all chopped and mixture is combined. Add dark chocolate to a small glass bowl and put in microwave for about 1 minute, keep close eye to make sure chocolate doesn’t burn. Take out of microwave and stir until all chocolate is melted. Roll batter with your hands, into bit sized balls and place on a nonstick cookie sheet(if you are using coconut roll the balls into the coconut before placing on cookie sheet). Cook in oven at 350F for 8 minutes. Take the cookies out and let sit for about 7-10 minutes, this is very important because the cookies continue to cook. Sign up for my FREE newsletter and get a three day detox guide, plus special offers and recipes! Hello and welcome to my blog! I believe in a holistic approach to life. 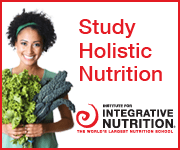 I am a Certified Holistic Health Coach who studied at the Institute for Integrative Nutrition. As a Health Coach, I am your personal advocate for living an energized and passionate life. I work with my clients to help them create happy, healthy lives in a way that is flexible. Making gradual, lifelong changes enables you to reach your current and future health goals.